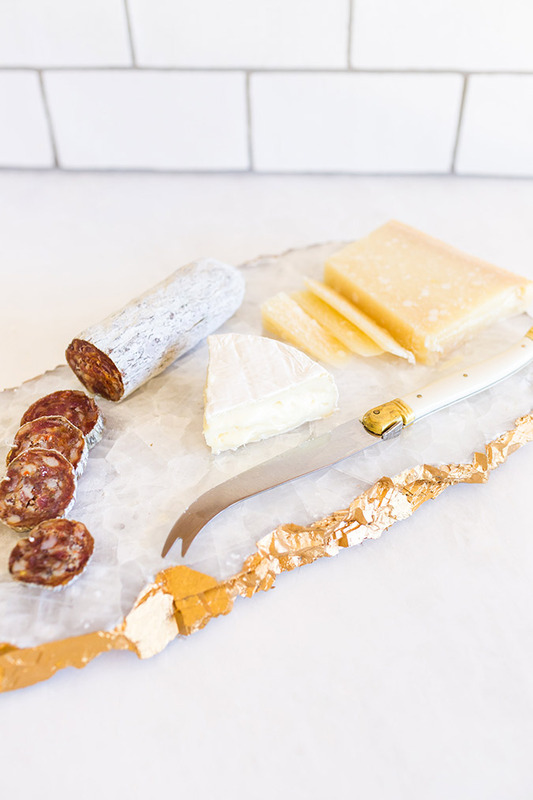 Whenever I am hosting a party, big or small, it seems like putting together a cheese and charcuterie plate is always on my to-do list. It’s not only delicious, but oh-so adorable to set on the table. My collection of plates and cheeseboards has grown over the years, but my most recent addition has to be one of my favorites. 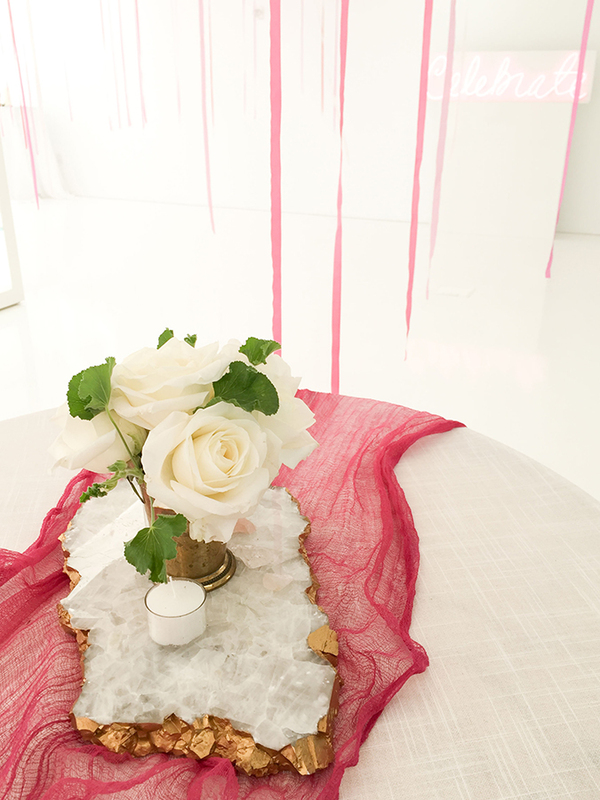 A couple weeks ago my friend and wedding planner, Cassandra Bette, shared her tutorial for DIY gilded roses with us. 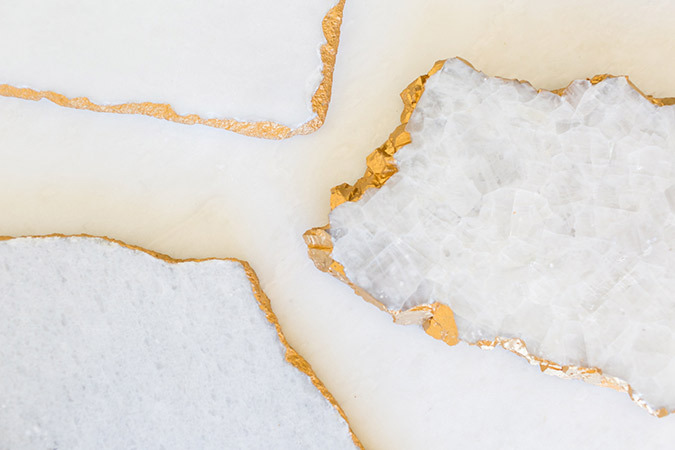 To keep the gold theme rolling, this week Cassandra is sharing another gilded craft with us: DIY marble slab trays. 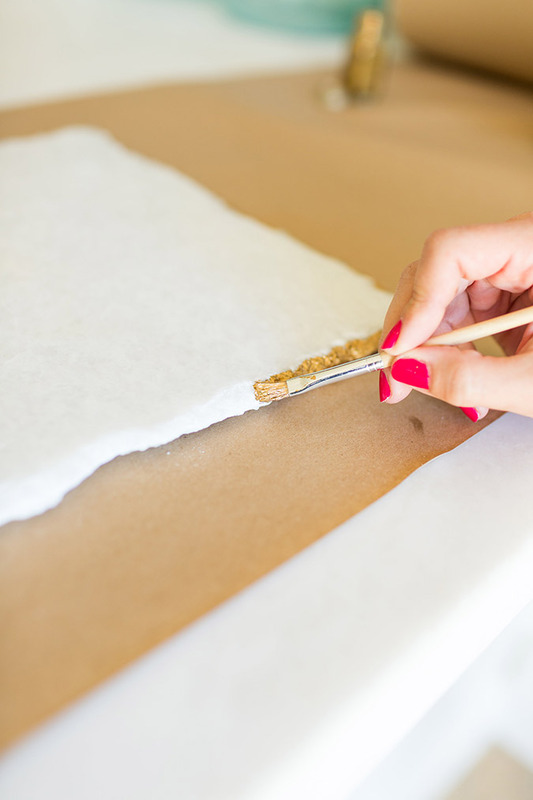 The first step is to grab your paintbrush and gently dip it into the gold paint. Use the correct size paintbrush depending on how big or small the marble slab is. Paint around the edge of the entire slab. The beauty of this DIY craft is that if you paint a little above or below the edge, it will still look stunning. Let the paint fully dry before proceeding to step two. To be sure that your marble slab doesn’t scratch any of your surfaces, it is important to glue corkboard to the bottom of your slab. 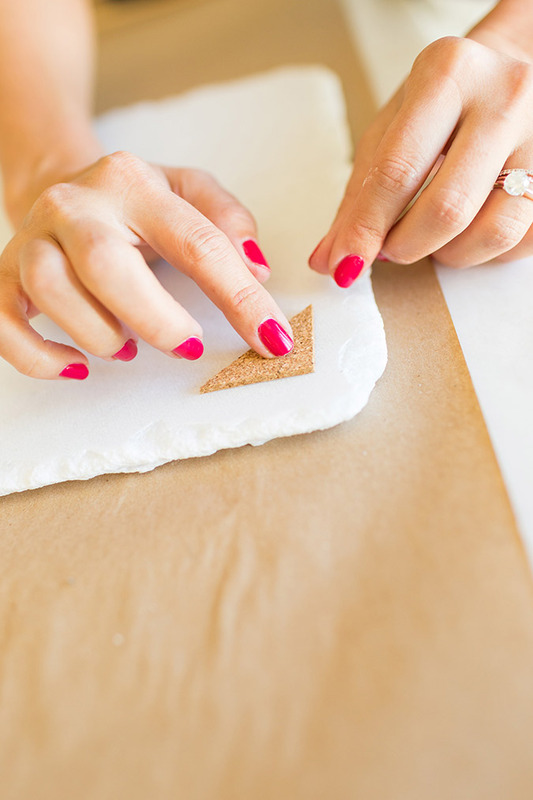 You can cut the corkboard into any shape you desire: a circle, triangle, or even a heart. 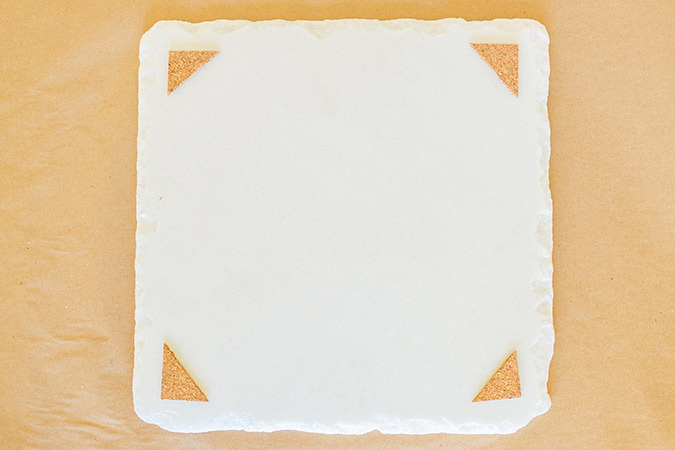 Cover one side of the corkboard piece with a layer of glue. 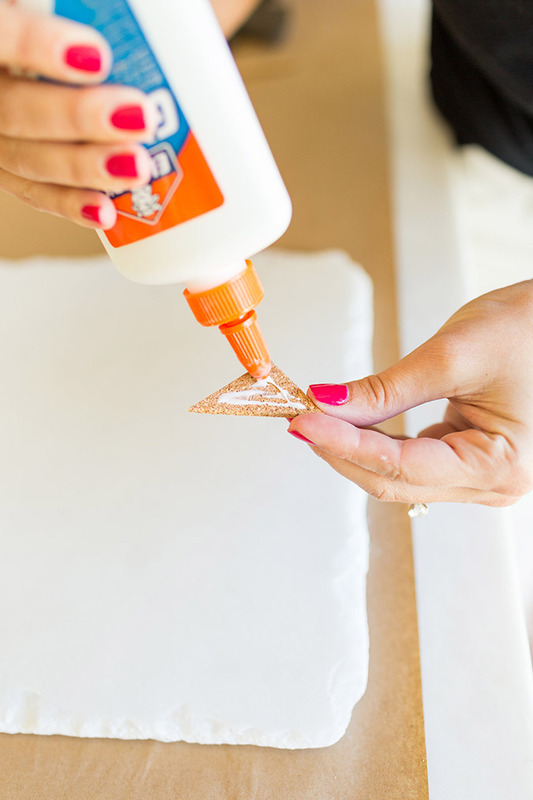 Use enough glue to be sure it will stay on through typical wear and tear. How gorgeous is the final product? I even made them the centerpieces at my Celebrate launch party in New York! 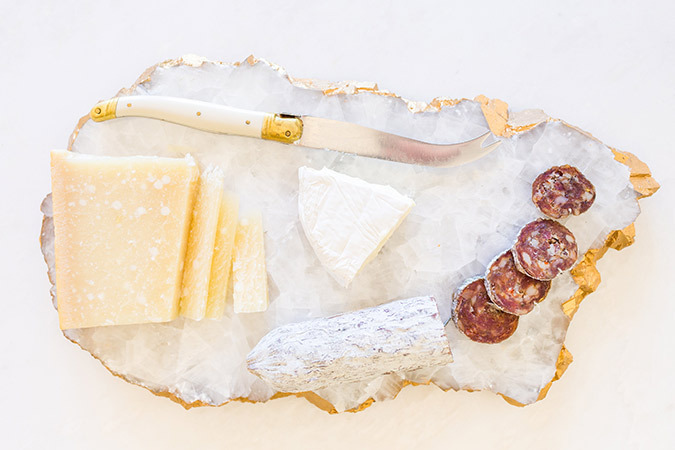 Are you going to make one of these marble trays? I think you should! Let me know if you do in the comments!